Great for a one of a kind gift or to keep for yourself! 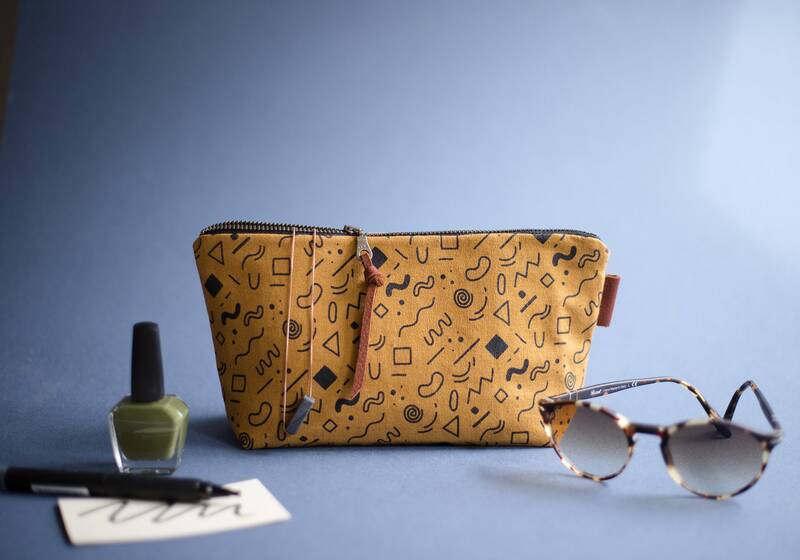 This hand printed purse is just the right size for holding those essentials like your wallet, phone and keys or for use as a pencil bag or to use as a cosmetic storage. 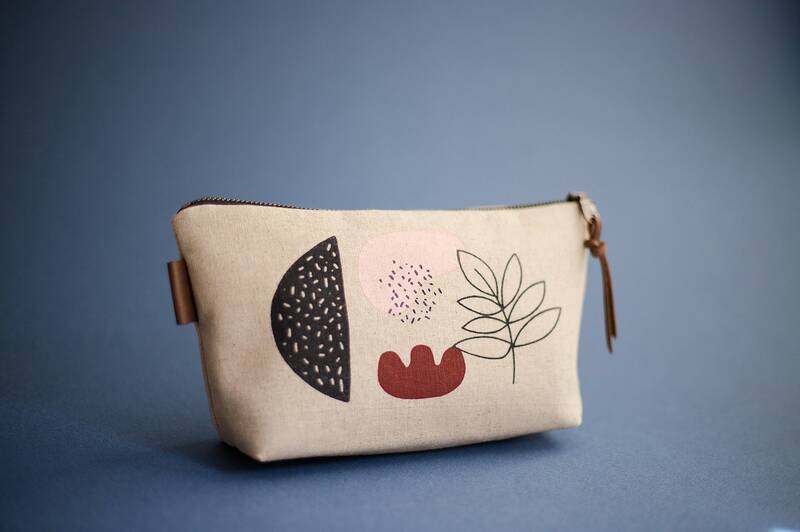 It's a great companion in your bag or you can use it alone as a clutch. Original design printed by hand on to a beautiful cotton/linen blend fabric with water based environmentally friendly inks. 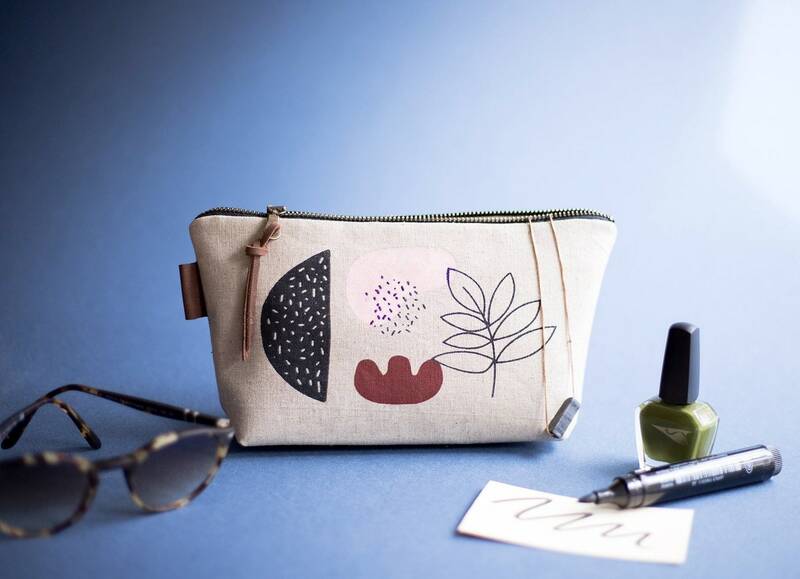 These purses are fully lined with a lovely natural canvas with an interior pocket and features a cute brown leather zipper pull. 9.25" wide, 5.25" tall, 2.5'' deep with a 9" zipper and 2.75'' zipper pull. 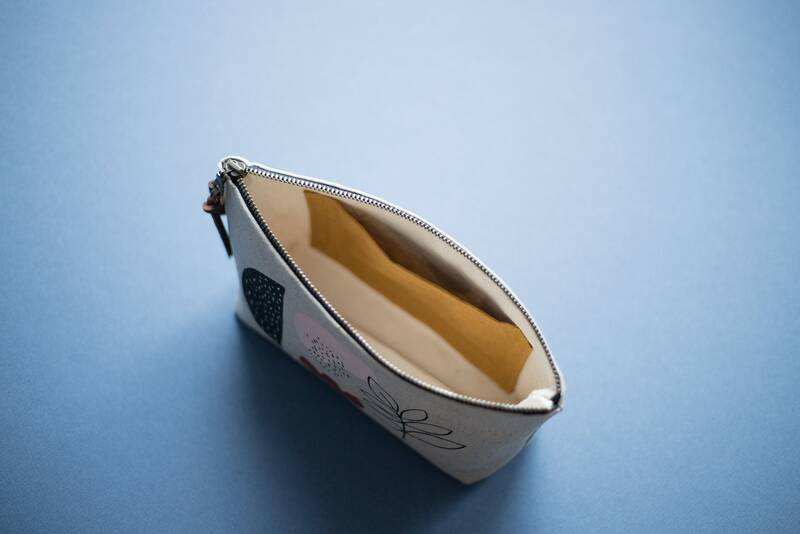 23.5 cm wide, 13 cm tall, 6 cm deep with a 23 cm zipper and 7 cm zipper pull. Option 1: Three color abstract art print on natural cotton/linen blend fabric. 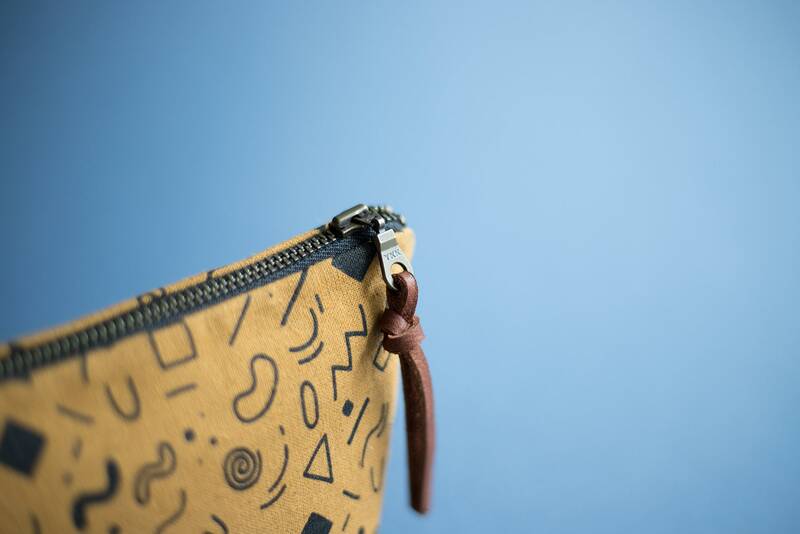 Natural canvas lining with a mustard color interior pocket. 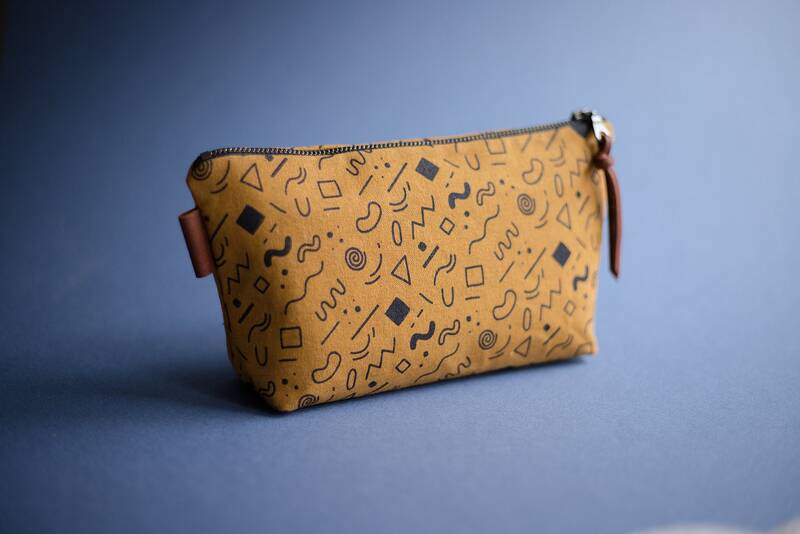 Option 2: Mono color small geometric shapes print on dark mustard cotton/linen blend fabric. 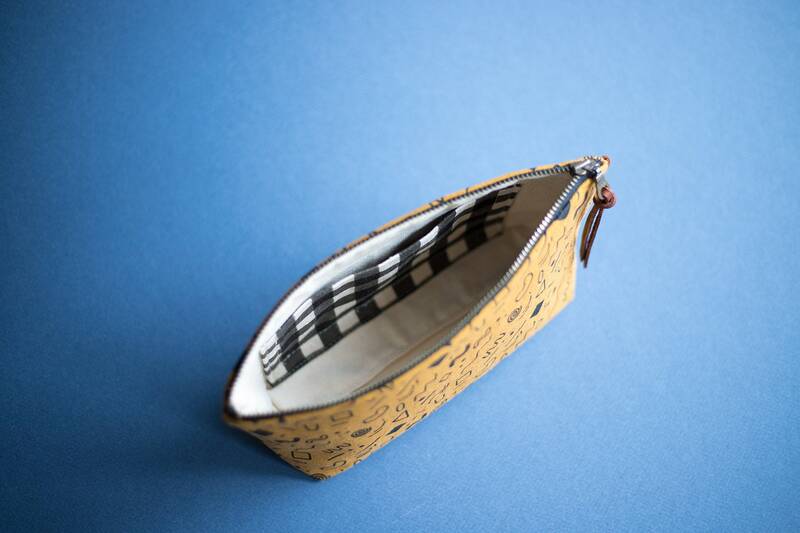 Natural canvas lining with a black and white plaid interior pocket. 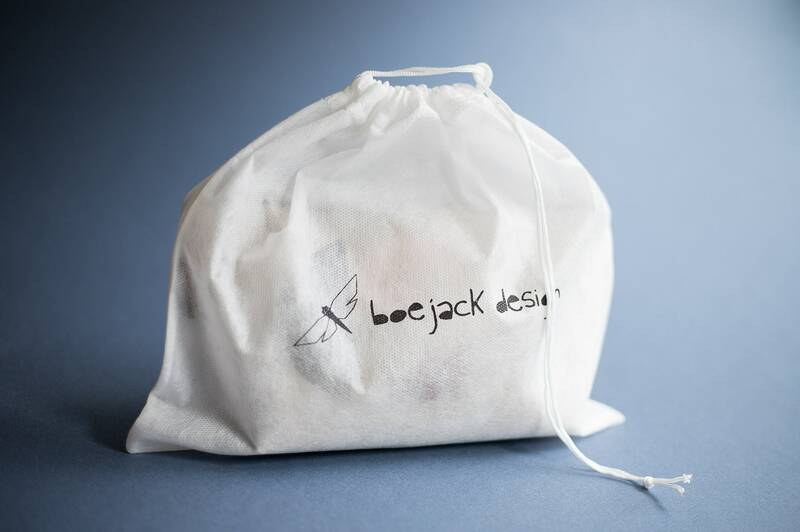 Your bag comes with a muslin storage tote. Every clutch is created by me and by hand in my home studio in Seattle, WA. 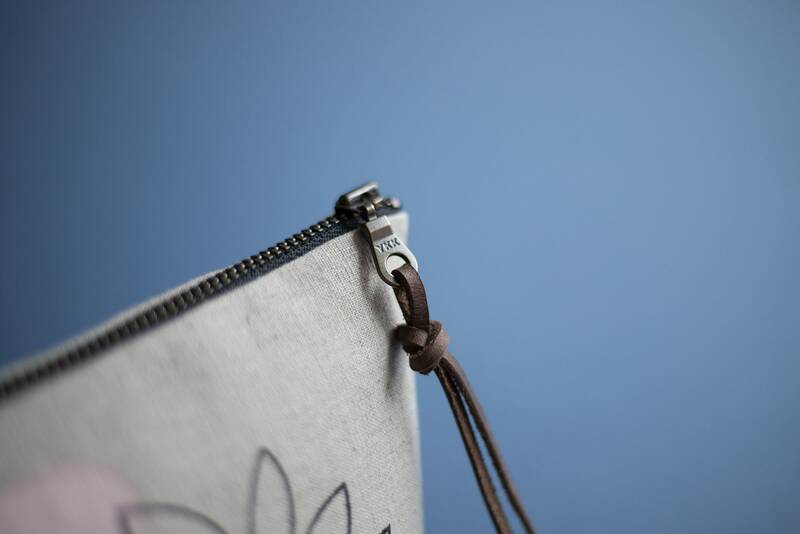 I source the finest fabrics, leathers and frames and strive to create an heirloom quality product. If you would like to purchase insurance for your order, please contact me prior to finalising your purchase regarding the rate. International Buyers – Please Note: Duties, taxes and charges are not included in the item price or shipping charges. These charges are the buyer’s responsibility. Please check with your country’s customs office to determine what these additional costs may be prior to buying.